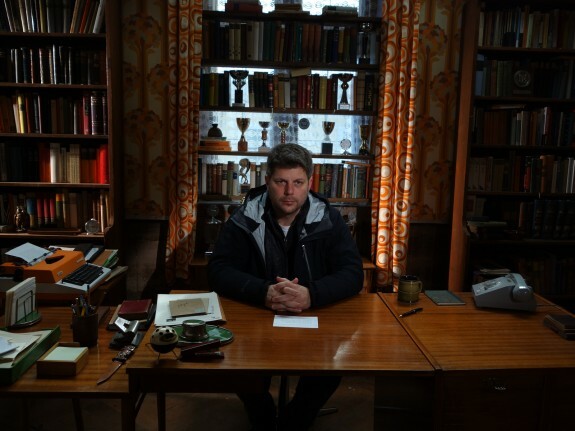 DnA talks to Adam Stockhausen, production designer of The Grand Budapest Hotel, about creating the whimsical details of the film. Academy Awards speculation has reached fever pitch, but one of the categories that oftentimes does not get its due share of the Oscars buzz is production design. In the coming weeks DnA will interview many of the Oscar-nominated designers. 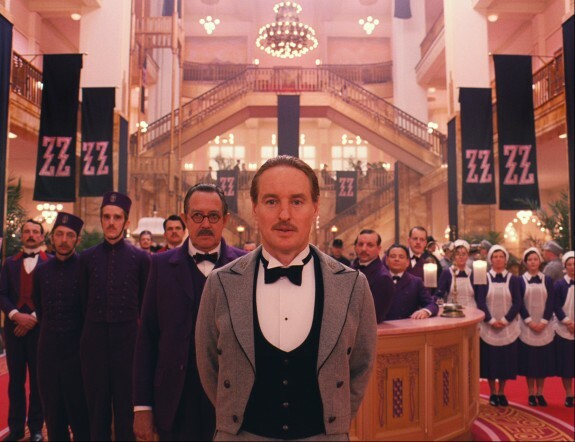 One of the films recognized for its excellence in the category is The Grand Budapest Hotel from Wes Anderson, a director well-known for the leading role he gives aesthetics in his films. 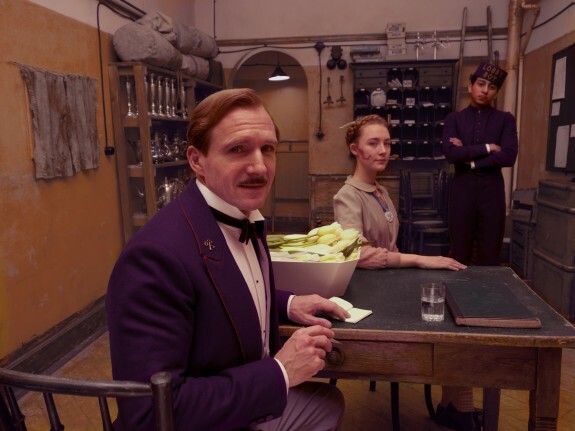 Released in March of last year, The Grand Budapest Hotel is a comedy set largely in a glamorous hotel in the fictional eastern-European country of Zubrowka during World War II. The film follows the story the lovably meticulous manager Gustave H. (Ralph Fiennes) and his trusty sidekick Zero Moustafa (Tony Revolori) as they get sucked into conflict over an inherited painting and the impending fascist takeover by a group that is assumed to represent the Nazis. To help tell the visual story, Anderson brought on production designer Adam Stockhausen who he worked with previously on both Moonrise Kingdom and The Darjeeling Limited (as art director). He teamed up with set decorator Anna Pinnock, who is running against herself in the Oscars; she also worked on Into The Woods. 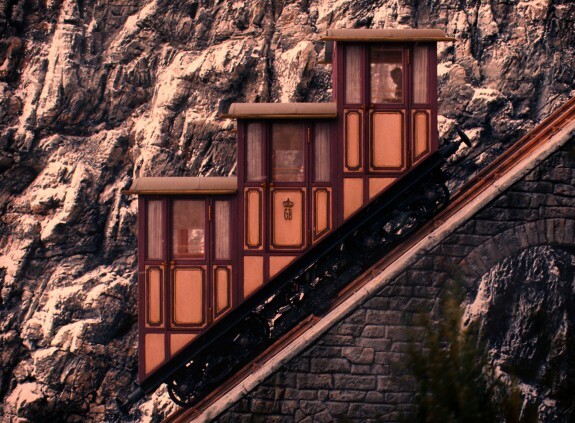 DnA spoke with Stockhausen about the research and labor that goes into creating an immersive visual world on screen, how humor about design played a role in the film and whether the short train used to get up the hill to the hotel was inspired by L.A.’s famed Angels Flight. 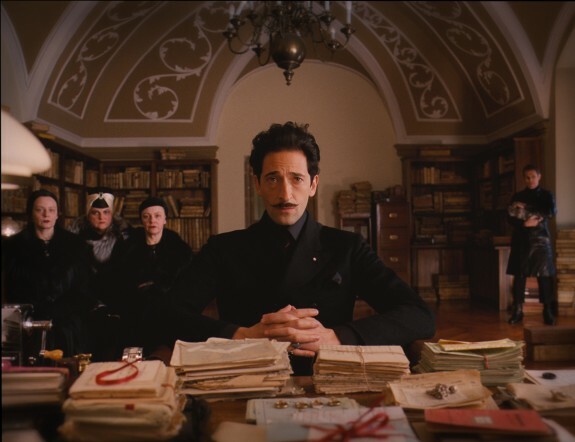 DnA: Visually, Grand Budapest Hotel is an amazing movie. Could you tell me what it was like working on it and working with Wes Anderson? Adam Stockhausen: It was a blast to work on. I mean all the exciting and fun scenery that you see in the movie was equally exciting and fun to make. We shot the film in the easternmost part of Germany in this little town called Görlitz. So we showed up and started prepping at Babelsberg Studio in Potsdam, and they quickly moved the entire operation out to this little town and set up shop in the hotel itself, which is actually an old department store. It was an incredible experience to be in camp with all of these other people making this film, inside the set that we were building. DnA: If you were to describe the big picture in terms of designing the film, how would you describe it? AS: The big picture of designing the rest of the movie is this giant hotel. So how do we convert this department store into the atrium and lobby of a hotel and do it twice, because in the film we see it both in the 1930s when it’s sort of at the height of its charms and then we also see it after it has taken a beating in the 1960s through waves of takeover and socialization. DnA: And the hotel was located in a fictional country. Can you talk about how you created a fictional country and what that involved as a designer? AS: Wes had set the film in the fictional country of Zubrowka and we talked about the elements of the look and feel of what the country would be like and how we would express those. What was portrayed as Zubrowka was really basically two fictional towns. One was a small spa town called Nebelsbad where the Grand Budapest Hotel is actually located in the movie. 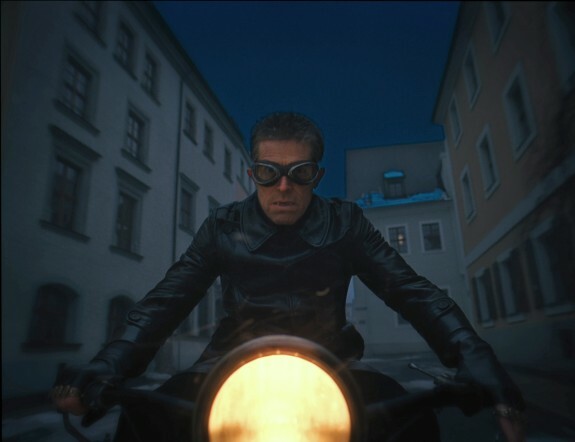 And then the other part of Zubrowka that we see is Lutz, which is a much larger town and has a much darker and more serious or ominous feeling toward it. There’s sort of dark, kind of gothic quality to the buildings there and so Lutz sort of has that relationship within our fictional country. And that’s kind of the big picture of how we did it in trying to maintain that sort of a look, with the two sides of Zubrowka. In terms of specifically designing it, you try to keep the big picture in mind and then it’s all about the details, so we do everything from the town newspaper to the money. 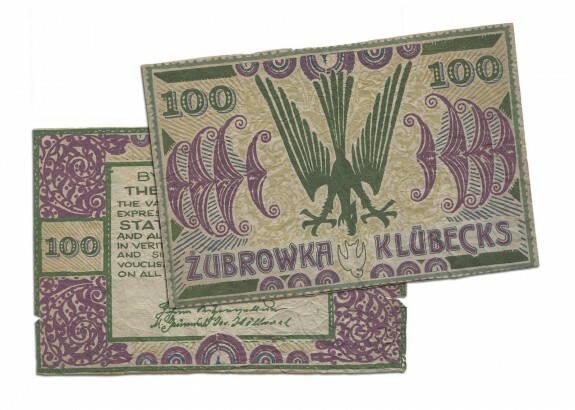 Our fictional country has fictional money which had to be designed from scratch, and so Annie Atkins, the graphic designer for the film was busily creating the look and feel of our newspapers, our money, and all of that stuff. And those details flesh out the country of Zubrowka. DnA: The characters themselves, I felt, were unexpressive, and it seemed to be intentional so that the setting and objects could tell that story. Can you describe what it’s like to create a narrative for objects? AS: I don’t know if I’ve felt that it was the expression was flat, but I totally agree that the objects take on character importance, take on a life. The way that I do it is trying to be as specific as possible. So we really try to even with tiny, tiny details try to think of where an object came from and why it exists in this place and does this belong here and so what should it be like? Anything, even as small as the Mendl’s boxes, the logo design that’s on them, where exactly does that come from and what are the best pastry shops in the world and what do their boxes look like? Or, what was the most interesting sort of arcane, money or bill or currency that you’ve ever seen? Where did it come from? Let’s go look at those. Let’s see what that might be like. And once we found those things, what’s interesting about them? What makes them stand out? What makes them unusual or extraordinary? Can we pull that thing that made it extraordinary into what we’re doing? If we do that thoroughly then the objects start to have the appropriate life of their own. DnA: Was there a specific currency that influenced it? AS: Old French Francs I believe. DnA: How many different currencies did you sort through to find it? AS: A bunch, but that was kind of the lead reference on it and that I think, Wes had a fondness of those from the beginning. DnA: And what about the pastries? AS: There’s a specific pastry that was a reference, I can’t remember the exact name of it now. But there was a pastry that was a reference and then it was the process of finding a baker who could interpret that into this pastel Nebelsbad-appropriate version of our film. So Octavia Peissel, one of the producers on the film, she spent time meeting with different bakers and discussing the meaning of pastry, what that meant, and getting samples, and Wes eventually picked the one he liked best. It was a local baker in Görlitz actually, and even though we’d been speaking with bakers from all around, it was a local who ended up being the baker. I think they got kind of tired of it after making several hundred. DnA: Who got to eat them? AS: Everybody had some. Very, very rich. DnA: Color plays such a strong role in the movie. Could you talk about that? AS: Wes has this incredibly strong sense of color, so that comes very early on. So the pinks in the film started day one. I remember our very first discussion, and he knew that he wanted the hotel to be pink and then that kind of grows and gets embellished and bigger and the final look for the hotel is sort of this combination of pink and purple and yellow and gold, and red, and this incredibly strong, enamel red. We started looking at combinations for those colors. And that process develops. We make 50 different pink samples, varying in different shades, lining them all up in the hallway, staring at them and gradually picking away one, and then two, and then three, and then four, and then you’re left with one that’s the winner. You develop a palette before anything is ready to actually paint and then the scenery is getting finished and it’s standing there, full-scale. When we start, we take our best guesses and we throw a bunch of it up there and see how it looks and then make a few modifications if it isn’t right, and then move forward. So it’s a process, a kind of tinkering as you go, but it starts with this really, really strong, clear idea that Wes has about color. DnA: Speaking of color, several scenes look like paintings, and I was wondering if that had to do with any sort of education you have in painting? AS: Well, the actual composition of the shot, that’s really Robert D. Yeoman, the cinematographer. From my end though, the paintings (that are in the settings) are incredibly important, because we were using them overtly in this film, both as background, like in the dining room sequence we have a gigantic 50-foot across painting, sort of dominating the entire scene, as well as the huge boar painting in the will reading and several other places in the film where we’re using paintings really strongly. And then also in the miniature sequences where the background, the sky is actually a painting, rather than a photographic sky. DnA: Were you just given instruction to make or choose the objects that would help create this effect? AS: It’s a process. For example, we found this room, it was in Görlitz, where we’re setting our dinner scene. And it really was a performing arts space and it felt like it was missing something. My job for this moment was to say, “Hey, you know this thing feels a little empty, how about we put a painting there?” And everyone agreed on that idea and then my team works on actually executing that, so we found this reference of a German Romantic painter named Caspar David Friedrich who painted in the mid-19th century, and he painted landscapes of the area we were driving around and shooting this film. And they’re also the sort of sweeping grand romantic images which just felt right for the hotel and the film, and so took one of those and appropriated it and that made it into our background for the dining room. DnA: Someone with a penchant for art history might appreciate that reference. AS: Yeah, definitely. And then we found the painter that actually painted that for us and he stayed with us and painted a bunch of other things for the film. He painted the boar in the will reading room and he actually painted that sky background based off the Caspar David Friedrich painting. DnA: I found the portrayal of the characters that were supposed to be Nazis interesting because you know they are Nazis but you don’t signify it in a literal way. As a designer, is designing fascism an interesting process just because oftentimes fascist movements have such strong aesthetics. AS: It is interesting. The zigzags, it’s pretty obvious what they relate to. But, we copied it too closely when we first started and it was scary. It wasn’t funny at all. And The Grand Budapest Hotel at the end of it, is a comedy and so we looked at the first couple rounds of it and said, it’s just not right. It’s too close to the actual, Nazi stuff, so it’s more terrifying than anything and so we kind of had to back away from it. So it’s tricky. DnA: It seemed like it kind of referenced more like turn of the century, 19th century kind of Otto Von Bismarck or Prussian elements, which I thought was interesting. AS: To me it shows what it needs to communicate. It doesn’t become this sort of direct, World War II kind of thing. It was about echoing the real thing without being literal. DnA: How closely did you work with the costume designer and collaborate on some of those scenes? AS: Milena Canonero, the costume designer, and I worked with each other. Her department and my department were on the same hallway and right next to each other so we would see each other every day and she would come in and look at the sketches of what we were doing in the art department and then I would head down into her area and look at everything as it was developing. And it was really important because the colors we were using are really vibrant and strong and so if we screwed up and clashed with each other it would have been pretty painful. 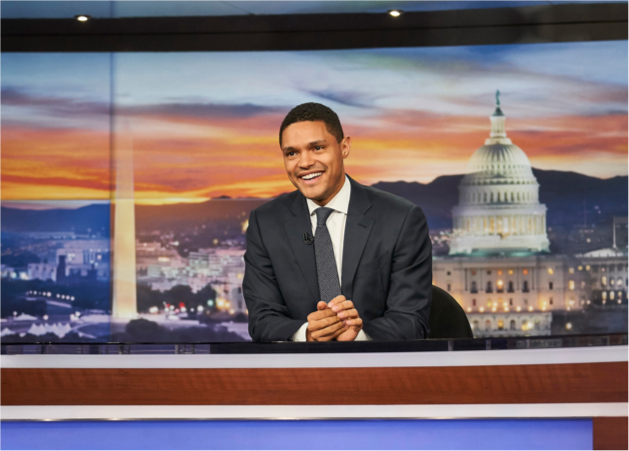 DnA: There seemed to be a sense of humor in just the functionality of everyday objects, like a door would open and somehow it was funny and maybe the way someone peered through a window was oddly humorous. Can you describe how you conveyed that? AS: Sure. There are literally a million examples in the film; the ones that are jumping into my head are the tiny little secret piece of paper where the code is written down for the lock, that Agatha needs a magnifying glass to see and the gigantic door for checkpoint nineteen and the tiny little door that he actually uses to go into the prison. And those, kind of little set-up gags constantly track the film. I think maybe my favorite one is the prison escape sequence and the ladders because they’re impossibly long and then the rope ladder that comes out the window is incredibly long. It really comes back to Wes creating these things because a lot of them he has written into the script and they’re very specific. Like for instance, Jopling’s (Willem Dafoe) character. He wears these brass knuckles called knuckle busters and he’s got this coat that is full of sort of armaments on the inside that light up which adds immeasurably to Jopling’s character. Then Milena and myself and Robin Miller, the props person on the film, and Annie Atkins, the graphics person, we’re all trying to add to that and bring detail and specificity to those object to make it a complete thing, but so much of it comes from this initial idea of Wes. DnA: Being based in Los Angeles I have to ask this question, that train that runs up the hill, that has to be based off of Angels Flight, right? AS: Angels Flight is a funicular train and I did look at photographs of the one in Los Angeles, but they’re all around the world. They’re in Portugal and I just saw one in Zurich. It’s one of those things, where you learn a new word and suddenly you hear it everywhere. These funiculars, I was unaware of their existence until I became aware of them and suddenly they are all around you. All images courtesy of Fox Searchlight pictures, unless otherwise noted.